The Dukes can do no wrong. If you have spent any time in Melbourne’s CBD you’ve no doubt experienced the always busy Dukes Coffee shop on Little Collins St. It’s a great representation of what the Dukes team and brand have been able to do to Australia's coffee scene over the years. They’ve created dedicated fans to their product, built a fantastic team that operates like clockwork with a smile, and continue to innovate and create amazing experiences through storytelling and design. Dukes Coffee Roasters is a group of like minded individuals who share a love and passion for great coffee and an untiring desire to break new ground. Their focus is the craft of carefully roasting the best coffees in the world using innovative and methodic roasting practices. More science than art, more art than science. Hanging out in their training space in Collingwood and talking about seasonal coffees and its representation in the market today, the Dukes team highlighted the importance of their new design for their coffee range. “We wanted to showcase the country of origin to promote the locality, but also do it in a way that creates a sense of modernity and community all in one”. We love this. Peter and Max, who run the Dukes outfit, are definitely loving it too. It’s this unique passion that comes out in the coffees we have for you this month. For the first time ever, we’re now featuring both Espresso and Filter options for members (if you want to switch over, just shoot us an email and let us know). For the Espresso we’re featuring the classic Dukes Espresso blend. Ripe muscat grape, deep chocolate and apricots, and a hint of demerara sugar. The espresso blend really brings out the fruit punches thanks to their light roast approach. For the Filter, we’re looking at this scrumptious Costa Rica Las Delicias. A washed process bean from San Signaction Acosta Tarrazu. If you think that’s a mouthful, wait till you taste it. Milk chocolates, orange blossoms, medjool dates, and just a touch of apricot. 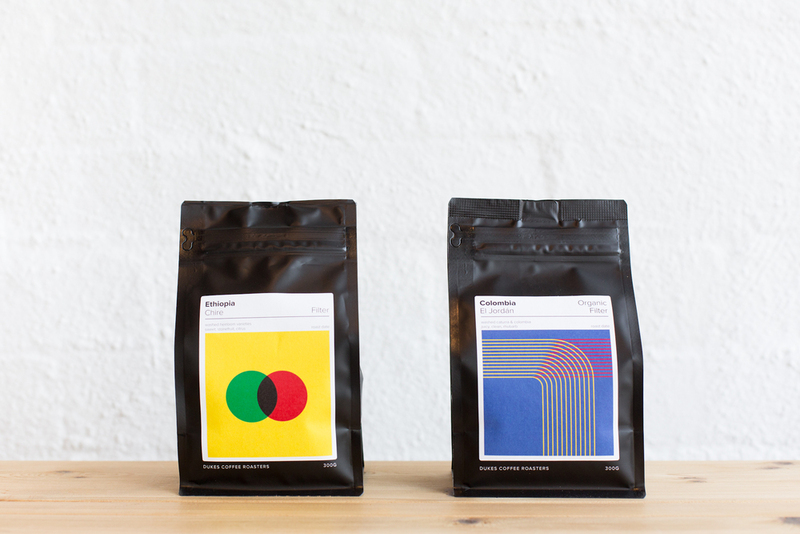 These are some amazing coffees, something that will brighten anyone’s day. And as you can tell, these guys have created a halo around themselves that allows them to continue creating and innovating while doing what they love most. We think 2016 is going to be a big year for them.